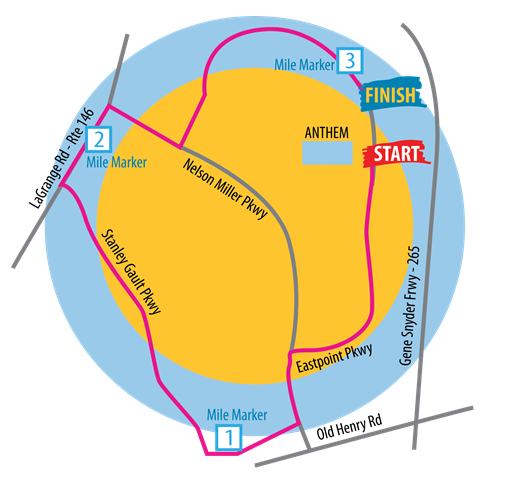 Anthem 5K kicks off Triple Crown despite cold! More than 5,000 runners and walkers took to the streets running the Anthem 5K to kick off the Louisville Triple Crown of Running on Saturday, March 7. Proceeds from all three races benefit the WHAS Crusade for Children. Check out Saturday’s forecast. Absolutely ideal for the Rodes City Run! 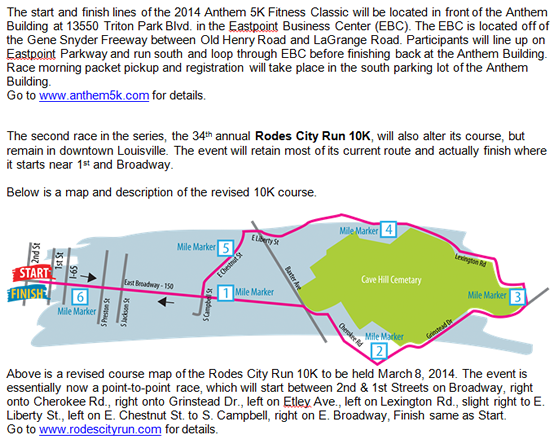 Read more about the Anthem 5K results from the Courier-Journal, just click here. First babies need your votes! First baby entries are in! Please vote early and often. The baby who collects the most votes (donations to the Crusade for Children) will be featured on the Crusade Baby Calendar cover! How can you resist? Get your baby in the 9th annual Crusade Baby Calendar! The WHAS Crusade for Children is creating a 15-month calendar that will begin in October, 2015. It’s the 9th annual Crusade Baby Calendar. The contest is open to babies who are not older than 4-years-old by June 1, 2015. As baby photos are submitted, they will be seen here on WHASCrusade.org. People then vote for their favorite baby by sending in donations to the Crusade. The baby with the most donations (votes) will appear on the calendar cover. The baby with the second most donations will appear on his or her favorite month. Third place will choose his or her month and so on til all months are filled. Please read the official rules below. All entrants must fill out the Baby Calendar Entry Form. Send in your baby’s photo and entry forms! Those interested, must send in one (1) baby photo or CD containing one (1) baby photo. The photo will not be returned. Photos and entry forms must be received by 4:00pm EDT April 17, 2015. 1. The WHAS Crusade for Children will create a 15-month calendar starting October, 2015. 2. The contest is open to babies who are not older than 4 years by June 1, 2015. 4. Parent(s) must check the box on the RELEASE AGREEMENT portion of the ENTRY FORM allowing use of baby’s image. 5. Photos must be received by 4:00pm EDT April 17, 2015. 9. All donations must be received by 4:00pm EDT May 29, 2015. The WHAS Crusade for Children, Inc. established in 1954 by WHAS-TV, raises money for schools, agencies and hospitals to better the lives of special needs children. In its first 61 years, the Crusade has raised $160 million. The 2015 Crusade Baby Calendar is available for just $10 at area Kroger stores or any branch of Republic Bank. Support the WHAS Crusade for Children and help make life better for children with special needs. Did you miss getting your baby into this year’s calendar? Click on the link above (banner ad) and enter your baby the 2016 Crusade Baby Calendar. New Year, new you and fun for your baby…oh baby! Make this your year. The WHAS Crusade for Children Walk of Fame in Louisville and the Joe Huber Crusade Endowment Memorial Garden Path in Starlight, Indiana await you. Purchase a brick and you’ll be ensuring the Crusade’s future. > To download the order form for the Joe Huber Memorial Garden Path, click here. > To download the order form for the WHAS Crusade for Children Walk of Fame, click here. To commemorate the 50th annual WHAS Crusade for Children in 2003, the sidewalk that surrounds the WHAS11 building at 6th and Chestnut Streets in downtown Louisville is now a place of tribute. You can order your own personalized brick here online. CLICK HERE to download a PDF of the brick brochure and order form. Joe Huber Family Farm & Restaurant in Starlight, Indiana has created the Joe Huber Crusade Endowment Memorial Garden Path. Proceeds from the purchase of the three sizes of bricks benefit the WHAS Crusade for Children Endowment. That’s the Crusade’s long term fund that will help thousands of children for decades to come. The bricks and pavers are being put in place. To get an idea of where your brick will be placed, watch this video to see more. Three generations of the Huber family welcome you! Your purchase of a brick on the Joe Huber Memorial Garden Path can be engraved with your special message. To download the order form for the Joe Huber Memorial Garden Path, click here. I-65 South to Exit 9 “Starlight Attractions” Follow Signs for 14 miles to Joe Huber Family Restaurant. I-65 North to Exit 9 “Starlight Attractions” Follow Signs for 14 miles to Joe Huber Family Restaurant. From the East:I-71 South to I-65 North to Exit 9 “Starlight Attractions” Follow Signs for 14 miles to Joe Huber Family Restaurant. I-64 East to Exit 119 Follow Signs for 11 miles to Joe Huber Family Restaurant. From Southwest Louisville/Dixie Highway:I-264 West to I-64 West. Take Exit 119 Follow Signs For 11 Miles to Joe Huber Family Restaurant. The Crusade Endowment Campaign fully funds our future. Beyond your annual contribution, we need your Crusade Endowment donation now. Change a child’s life forever, support the WHAS Crusade Endowment. Many holiday movies dot the TV landscape this time of year. Thanks to our Endowment Board member Clarence Glover, here’s a very comprehensive list that will alleviate stress and help you better navigate this season. Click here to make a donation to the WHAS Crusade for Children securely online. A special television program entitled “WHAS Crusade for Children: Building the Future” will air from 4:00pm to 6:00pm Saturday, December 6 on WHAS11 television. The program will highlight the Crusade’s Endowment fund. WHAS11’s Melissa Swan and 84WHAS radio’s Terry Meiners will serve as hosts. The WHAS Crusade for Children, established in 1954 by WHAS-TV, raises money for agencies, schools and hospitals to make life better for children with special needs. Since 1954, the Crusade has raised $160 million, giving critical assistance to millions of children in 120 Kentucky and 50 Southern Indiana counties. The money donated in Kentucky stays in Kentucky and, likewise, money donated in Indiana stays in Indiana. No money is sent to any other national charity or organization. The Crusade returns 100% of each donation to agencies that directly improve the lives of children with special needs. The WHAS Crusade for Children Endowment fully funds the Crusade’s future. It guarantees that 100% of the Crusade’s annual telethon collections continue to go directly to agencies that help children with special needs. It ensures that millions more children will be helped for decades to come. Crusade events warm up the weekend! MUSIC, FOOD, FUN & OF COURSE FIRE TRUCK PULLIN’! Join us at the 3rd Annual UofL Pikes (PKA) Crusade Fire Truck Pull! The Fireman Challenge is a team based competition in which teams attempt to pull a 1950’s fire truck 25 feet down Fourth Street LIVE for the fastest time. The winning team of each category will be presented with an award. All proceeds of this event will go to the WHAS Crusade for Children. It’s not too late to register your team now! The Pikes challenge YOU! Onsite registration and sign in begins at noon. Click here for the Pikes Web site. Last year’s event was a great turnout and a heckuva lot of fun! Thanks for supporting children with special needs through the WHAS Crusade for Children. 2015 Crusade Baby Calendar coming soon! Aww, how cute! Soon you’ll be able to purchase your very own Crusade Baby Calendar for just $10 here on WHASCrusade.org, at your local Kroger store or any branch of Republic Bank. Stay tuned! Cute babies on the way! Wednesday, March 26 was a special day for some special children at Bardstown Primary School. With a clip of the scissors, Bardstown Primary officially opened its brand new accessible playground. The project was funded by a grant from the WHAS Crusade for Children. Firefighters and parents joined youngsters to kick off a fun way to play and learn. With several of the children on the autism spectrum, designers made the playground compact and less intimidating. 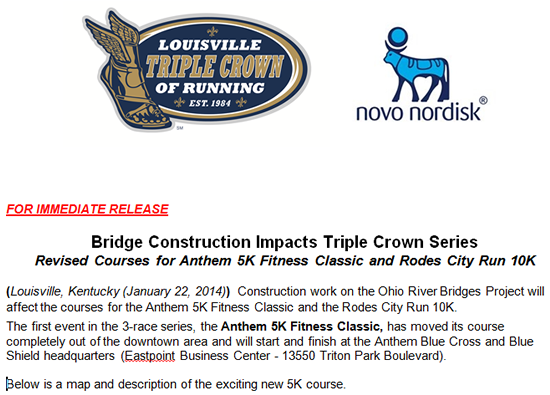 For more details and to register for the Louisville Triple Crown of RunningTM, click on the logo below.